The OTC Encore is your diagnostics ally with a fast Android operating system, crisp touch screen display, comfortable rubber overmolded grips, 8GB internal storage and integrated Wi-Fi and Bluetooth. Quarterly software updates add more vehicle coverage, tests and resets to help you access, diagnose and fix more vehicles faster. Encore owners will be automatically enrolled in our Diagnostics for Life program that provides a lifetime hardware warranty*. Diagnostics for Life lifetime hardware warranty applies to tool owners who purchase and continuously maintain, without interruption, an OTC Encore software subscription. The OTC Encore is proudly manufactured in Owatonna, Minnesota, USA, with some globally sourced components. 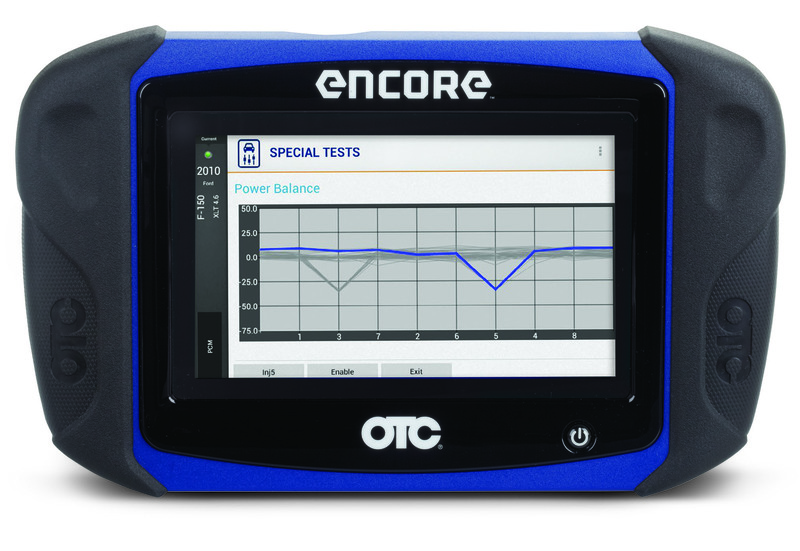 The Encore comes with a one-year diagnostics subscription, renewable anytime throughout the year. Subscription renewals provide updated vehicle coverage for one year. Once your diagnostic subscription expires, all vehicle coverage remains with the tool but you will not receive new coverage updates.